Our tomatoes are farm fresh, vine-ripened and picked by hand. They are then graded by size and hand packed into eye catching packs and crates. They are then immediately shipped to our customers or stored in our cooler at the optimal temperature to maintain freshness, until they are ready to be shipped. Utilizing innovative greenhouse technologies and rigorous measures to ensure safety and quality, the product you receive is the best. Large, red, juicy, flavorful beefsteak tomatoes grown by Sedfort are cylindrical in shape. It holds together well when cut, and so is particularly well suited for slicing and eating raw. 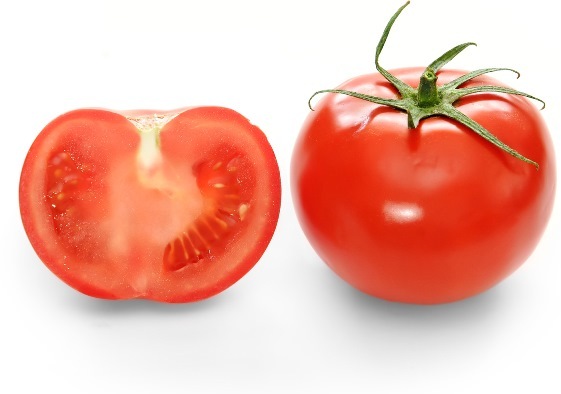 It is considered by many to be the ideal sandwich tomato and also good for preparing local popular dishes like “jollof” rice, fried eggs, and other meals that require sliced tomatoes. It particularly adds the distinctive red colors to stews and soups. Roma tomatoes have dense, meaty flesh, with low moisture content and few seeds, makes it the canners’ favourite. It is also ideal for stews, soups, sauces, baked dishes and salads. Sedfort Produce grows firm, smooth-skinned and red Roma tomatoes that can be used in many African and continental dishes, and any other cuisine that calls for a perfect tomato. Roma tomatoes are one of the most versatile vegetables a housewife can keep on hand, as they easily adapt from fresh, to cooked, from simple to decadent. Cherry tomatoes range in size from a thumb tip up to the size of a golf ball, and can range from being spherical to slightly oblong in shape. They are a popular consumer favorite among tomato lovers as they can be baked, broiled, fried, grilled, sautéed, stewed and of course, eaten raw. Cherry tomatoes are perfect for salads and as entertaining appetizers. Sedfort’s Cherry tomatoes are super fresh – and they taste like it! They are vine-ripe with a sweet taste; delicious enough to eat straight from the tomato basket – so you can only imagine the complex flavor bliss when they mix and mingle with other ingredients. 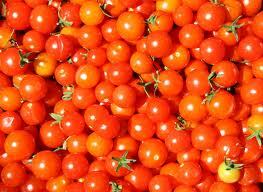 Good Source of Lycopene – a cancer and heart disease fighting antioxidant.